Today's law school students are looking for support beyond the casebook, from explanations of difficult concepts to opportunities for self-assessment and feedback. 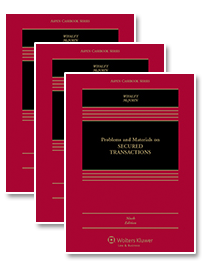 Law professors continue to want the highest quality casebook, with sound developmental editing, excellent case selection and abridgement, and thorough introductions. 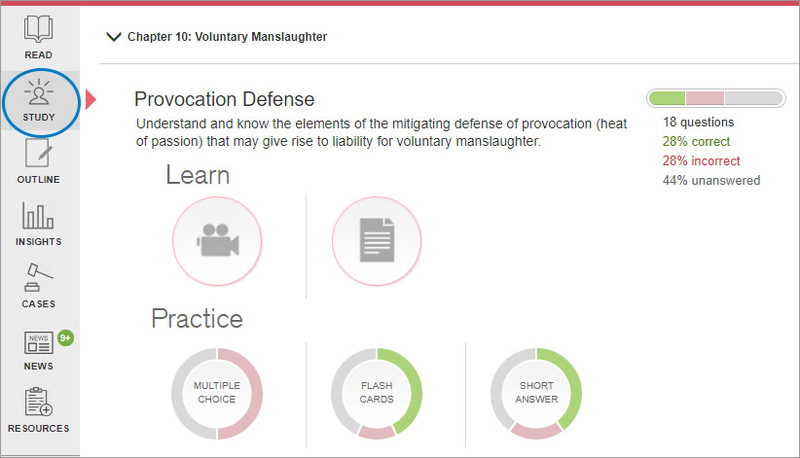 Additionally, we have developed Faculty Tools to further integrate the Connected Casebook into the classroom. 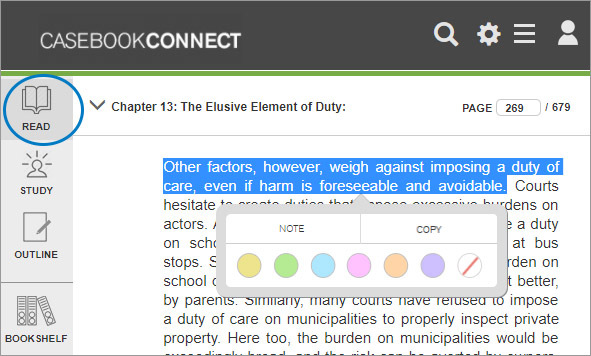 Wolters Kluwer offers many titles in the Connected Casebook program. 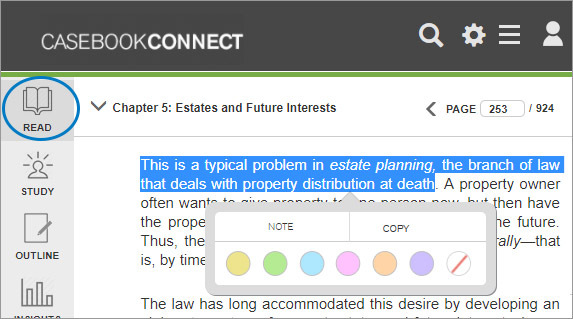 Students may choose from three format options for the print component of the Connected Casebooks: hardcover purchase, hardcover rental, and loose-leaf purchase. A fully functional ebook with the same pagination as the print book. 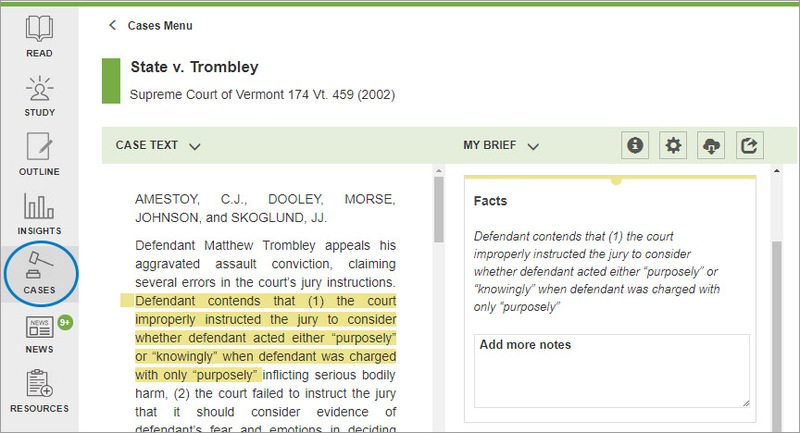 Students can read and search the entire casebook, highlight in multiple colors, add notes to the margins, and print any section of the casebook. Students get access to a wealth of support material in the Study Center, including excerpts from the Examples & Explanations series, multiple-choice questions, practice essays, and more. The Study Center also helps students to track their strengths and weaknesses so they can better focus their time and energy. The Outline Tool adds efficiency to how students create their outlines. 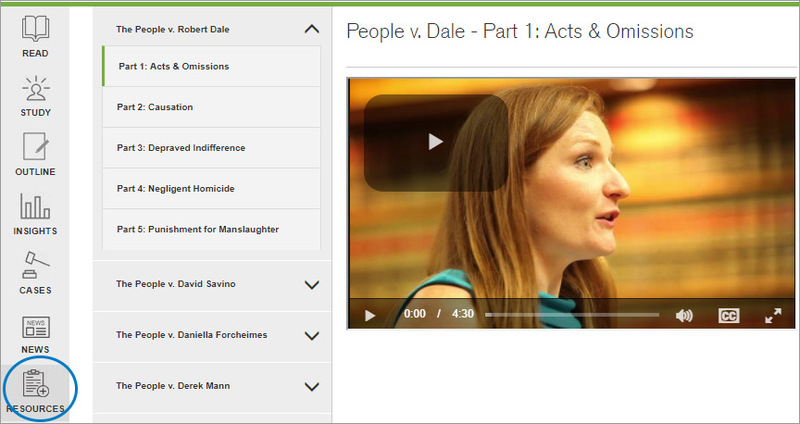 Students can import their notes and highlights from the ebook into an editable and exportable format. The outline tool saves students from having to retype their book notes so they can focus their time on the more meaningful process of organizing, editing, and synthesizing their outline into the perfect study tool. 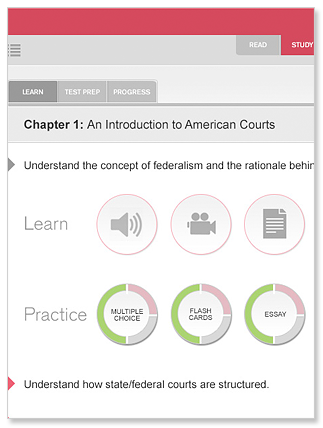 The new faculty tools further integrate the Connected Casebook into the classroom. 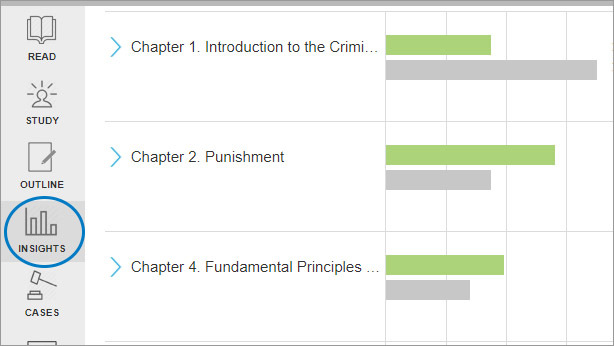 Professors can access a dashboard of class analytics to gain additional insights into their students learning patterns and comprehension of material; review and endorse content in the study center; and add links into the ebook for the entire class to see.